Things to do in Redding California on St Patrick’s day in Redding California is a major event here in the north state. There is no lack of things to be involved here on this “Everyone’s Irish on St Patrick’s Day”. If you have been a resident in the north state very long you know the hot spots to visit starting this Thursday and going into Friday. People love getting out here in Shasta County for events but when it comes to St Patrick’s day people really really do come out that might be more reserved in participating in local events here in Redding. Below we have put a VIP list of just some of the places to visit on St Patrick’s day here in Redding. This list is not conclusive but some of the more popular places to visit for entertainment, food and of course green beer! Just like in the John Wick movie it is debated how many people he eliminates. Some say that it is between 74 – 84 people. Who knows exactly how many establishments will be celebrating St Patty’s day here in the north state! If confused where to go you might want to try calling your favorite places to see what they are doing for St Patty’s day. 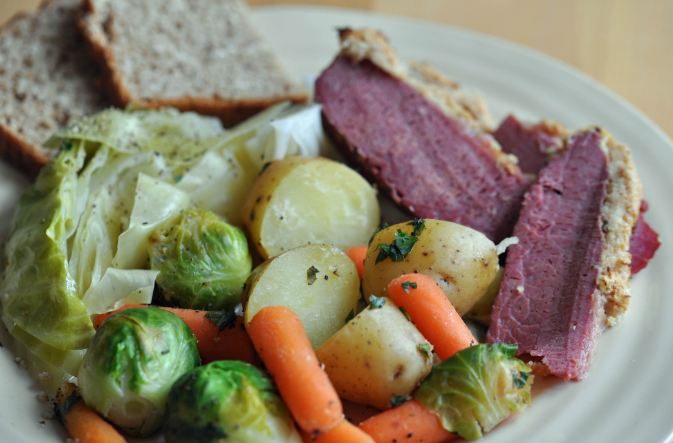 The traditional St Patrick’s food being served here in Redding will cover corned beef and cabbage, sheperds pie and Irish soda bread. Join us Sunday, March 19, 2017, to witness a hysterical stand-up routine from comedian Mark Pitta! Mark has been around the block a few times, appearing on the Tonight Show, Comedy Central and he has even hosted Totally Hidden Videos. His comedy skit is sure to leave you doubled over with laughter! Reservations for dinner begin at 6:30 p.m. and are strongly recommended. The show starts at 8:00 p.m. $10n in advance or $15 at the door. Cash only, please. Come into Woody’s to book your seats today! Irish Coffee Cream Stout is infused with a cold coffee extract from a local Redding coffee company, Theory Collaborative, formerly Scout Coffee. This beauty tastes like Baileys Irish cream and coffee or as some have described, as an Irish car bomb cocktail. It finishes sweet and frothy and goes down smooth. Tomorrow! March 17 We open at 2:00, The band Playing called Wild Bill and the Mudwhompers host the 5th Annual St Patrick’s Day Irish sing-along starting at 7:30-11. St. Patricks’s Day is just around the corner!!! We will be opening up at 6am, serving up Steve’s famous breakfast burrito’s. 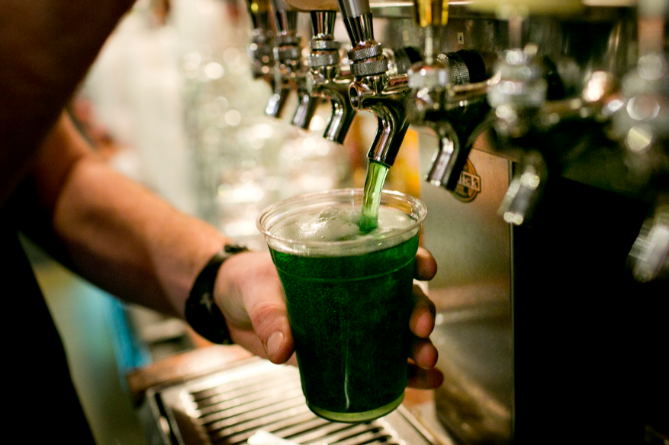 $2 green domestic draft, $5 car bombs! Bagpipers will be in at 8 pm. Always a good time at the CASTLE LOUNGE!! Seen you then! SHAMELESS O’LEERY’S IS REDDING’S EXCLUSIVE IRISH PUB! COME JOIN IN THE FUN WITH INCREDIBLE FOOD, ENTERTAINMENT FROM THE JEFFERSON BAGPIPE BAND, SWAG GIVEAWAYS, GUINNESS COMMEMORATIVE GLASS ENGRAVINGS AND MASSIVE GIVEAWAYS. OPENING EARLY FRIDAY MORNING AND PARTING UNTIL SUNDAY MORNING AT 2AM! 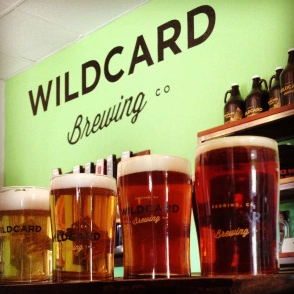 Sublime Cake Design will offer four mini cupcakes to be paired with a Wildcard sampler flight of four ales for $15. Sublime Cake Design’s Flavor of the Month is The Drunken Leprechaun featuring Wildcard’s Shot in the Dark Oatmeal Porter! 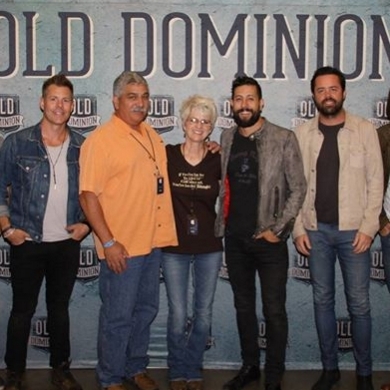 The Old Dominion Band sold out at the Redding Civic Auditorium thanks to the owners of Mesa Productions Angie and Rick Gurrola. Their motto is to bring quality events to the north state at reasonable prices. Recently their motto came to pass when two well-known bands played at the Redding Civic Auditorium. 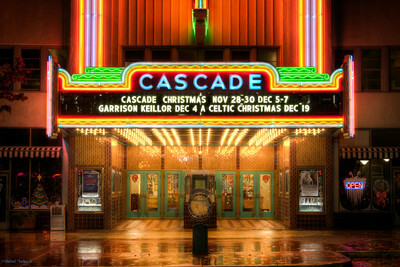 Redding Reviews & Best Of The North State was there to capture and experience this exciting event that was totally electrifying. It was very exciting seeing the Old Dominion Band and Jackson Michelson. As we interviewed people waiting to enter the Redding auditorium you knew without a doubt that there was a lot of built anticipation. “Old Dominion is one of my favorite bands” commented one woman that had brought several friends. We had the opportunity to interview up and rising star Jackson Michelson who started the show out with a lively opener that the crowd loved. Jackson did a fantastic job getting the crowd warmed up before the Old Dominion Band came out onto the stage. There was only one small hiccup during the entertainment, and that was at the end of the show when one woman kept getting onto the stage while the band wanted to take a picture of the crowd, she was finally told to get off the stage by the lead singer. 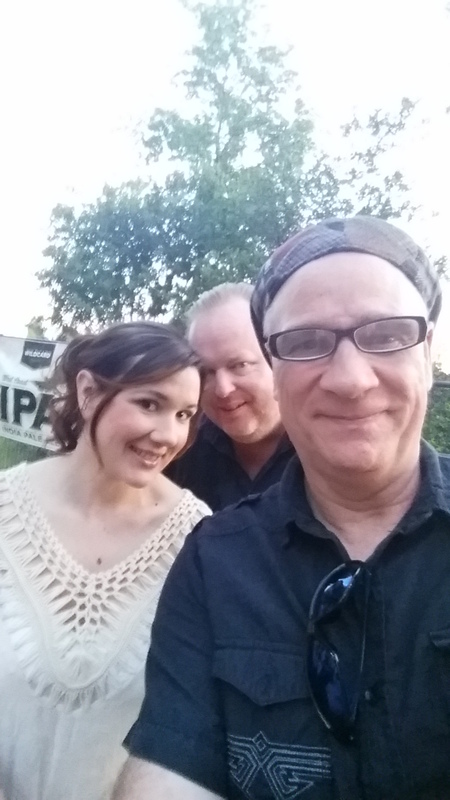 All in all, this was a two thumbs up show and a big shout out goes out to Angie and crew for bringing this great entertainment to Redding. St Patrick’s day in Redding California is a big deal here in the north state. St Patty’s day has a rich history and culture that goes back hundreds of years ago. St. Patrick, or the “Apostle of Ireland,” actually started out in the pagan religion. While not much is known about his early life, as many of his life’s details lost to folklore, letters from St. Patrick reveal that he was captured in Wales, Scotland, or another close area outside of Ireland and taken to Ireland as a slave. Years later, he escaped and returned to his family, who were Romans living in Britain, going back to Ireland for mission work after finding a place as a cleric and then Bishop within the Christian faith. He was born around 460, and by the 600s, he is already known as the Patron Saint of Ireland. Another popular belief is that St. Patrick banished the snakes from Ireland. The story says that while St. Patrick was fasting, snakes attacked him, so he chased all snakes into the ocean. However, there have never been snakes in Ireland during the post-glacial period. The absence of snakes and symbolism involved with snakes is believed to explain the story, although it could have been referring to a type of worm rather than snakes. One legend has St. Patrick sticking a walking stick into the ground while evangelizing, which turned into a tree, CLICK HERE for detailed information and reference. 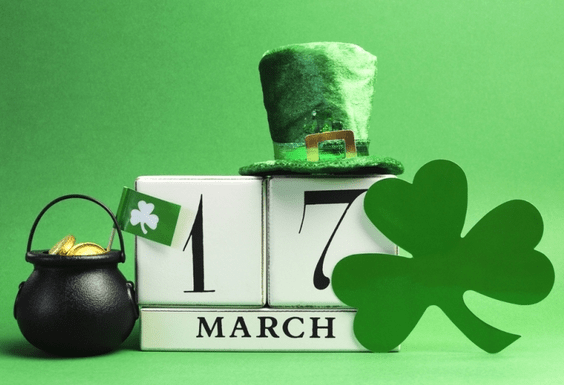 St Patty’s day here in Redding CA and other north state communities enjoy this time of the year and celebrate it with fantastic food, drink, and festivities. Some of the local eateries and pubs will be celebrating with the traditional corn beef and cabbage. While some will be adding a twist like Woody’s Brewing Co offering a Dublin Cheese Steak dish and let’s don’t forget the traditional bagpipers that will be playing at Shameless O’Leery’s at 12:00, 3:00 and 6:00 o’clock Thursday the 17th. Below I created a short video explaining the events going on and where to go to participate in traditional Irish event. One of the most diversified and welcomed cultures are the amazing Mien families that reside herein the north state. The Shasta County Mien community opens it doors at the senior citizens hall to the public at 2290 Benton Dr west of Redding. There is a $5 donation. The celebration starts at 2:00 o’clock PM and goes to 11:00 PM. There will be authentic Asian recipes and American spirits served.